BATAVIA -- The History Club at Genesee Community College continues its Historical Horizons Series with a special home-grown performance. AT 7 p.m. Dec. 5, GCC professors Derek Maxfield and Tracy Ford will present "Now we stand by each other always" - an engaging conversation between Generals Ulysses S. Grant and William Tecumseh Sherman. The two-man play is based on historic resources and references. 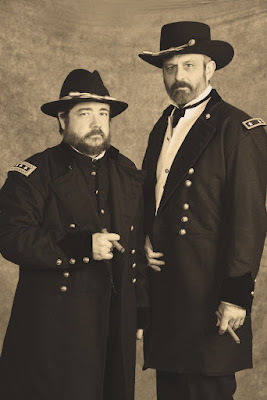 Together, they recount the important meeting and conversation held at City Point, Virginia in March 1865 when the two Union generals discuss the campaigns in Georgia and the Carolinas and consider how to close out the Civil War. All lectures in this series begin at 7 p.m. in room T102 of the Conable Technology Building. All lectures are free and open to the public.